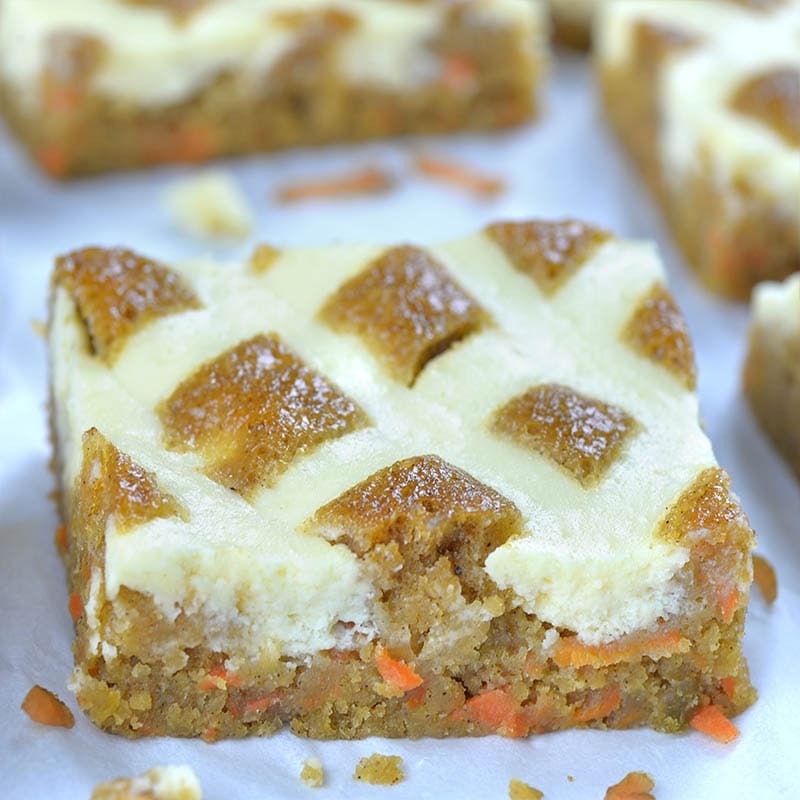 Carrot Apple Cheesecake Blondies is simple and easy recipe for delicious blondie bars infused with carrots and apples for flavor, natural sweetness and incredible moisture. Smooth and creamy cheesecake stripes on top make these blondies melt-in your-mouth-good! If you are more pumpkin lover than carrot cake lover, try these Pumpkin Bars with Cream Cheese stripes. Carrot Apple Cheesecake Blondies brings together a few indulgent desserts in just one simple and easy blondie bar recipe. If you love blondies, if you love carrot cake, if you love apple desserts, if you love cheesecake and finally, if you just LOVE dessert, you have to try this one! These Carrot Apple Cheesecake Blondies are delicious and fun twist on my classic Easter dessert- Carrot Cake Cheesecake. 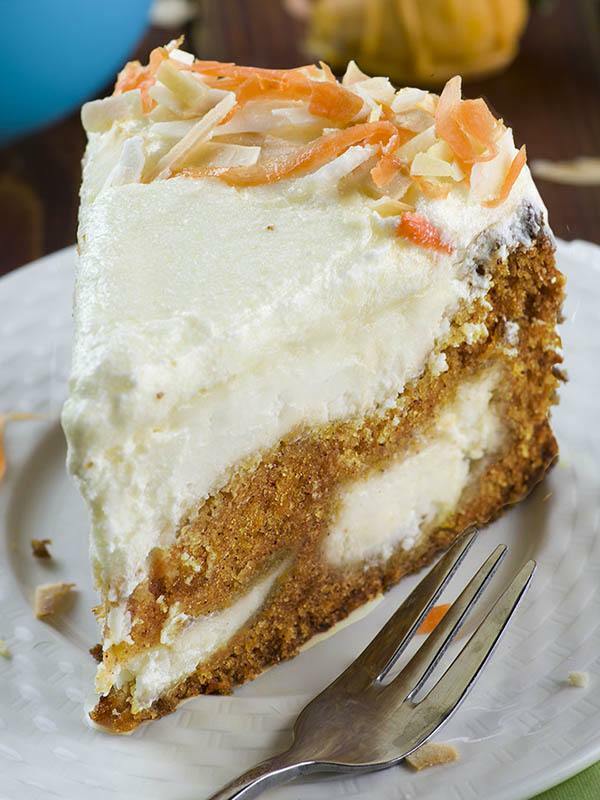 And I simply love those moist layers of carrot cake swirled with creamy cheesecake, topped with cream cheese frosting. But if you don’t need a whole cake, these blondies will save you both time and money. If you are carrot cake lovers and cheesecake lovers – these Carrot Apple Cheesecake Blondies are for you! All deliciousness of a carrot cake and a cheesecake are in an easy-to-bake-up batch of blondies! Carrot Apple Cheesecake Blondies is simple and easy dessert recipe for spring baking season. Incredibly moist and spicy carrot, apple and cheesecake combo is delicious snack. But this crowd-pleasing dessert is fancy enough dessert for Easter brunch or as light and easy dessert after Easter dinner. If you are looking for new and fun Easter ideas to try this spring, this easy dessert recipe is the best Easter treat that you can make for your family. And besides the whole tasting amazing part – they are sooooo much easier than baking a whole cake. The first thing you need to do is grate your carrots and apple. I grated them in the old-fashioned way, using coarse blade on a box grater, and it’s done in less than two minutes. Next, beat grated carrots and apple with sugar, oil, eggs and vanilla. Finally mix in flour, baking soda, baking powder and spices and your one-bowl mixture is ready to be spread in prepared pan. Cheesecake mixture is also very simple and easy to make. Just beat softened cream cheese with sugar, then mix in egg, vanilla and flour and transfer the mixture in piping bag. However, you could just simple droop cheesecake mixture by a spoonfulls on top of carrot apple mixture in the pan and swirl it. And I’m sure it would be tasty, too. But if you want to create a show-stopper dessert and rave the review, you need to put in some extra effort! That’s why you should pipe crossed lines like these, to create cheesecake piumino effect. 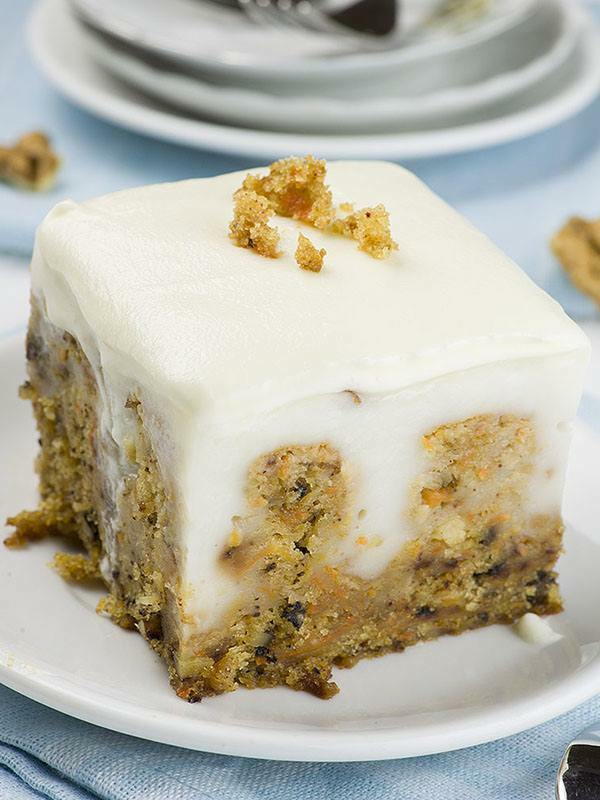 If you are looking for new and fun Easter ideas to try this spring, this easy dessert recipe for Carrot Cake Poke Cake is the best Easter treat that you can make for your family. Website doesn’t show the recipe! 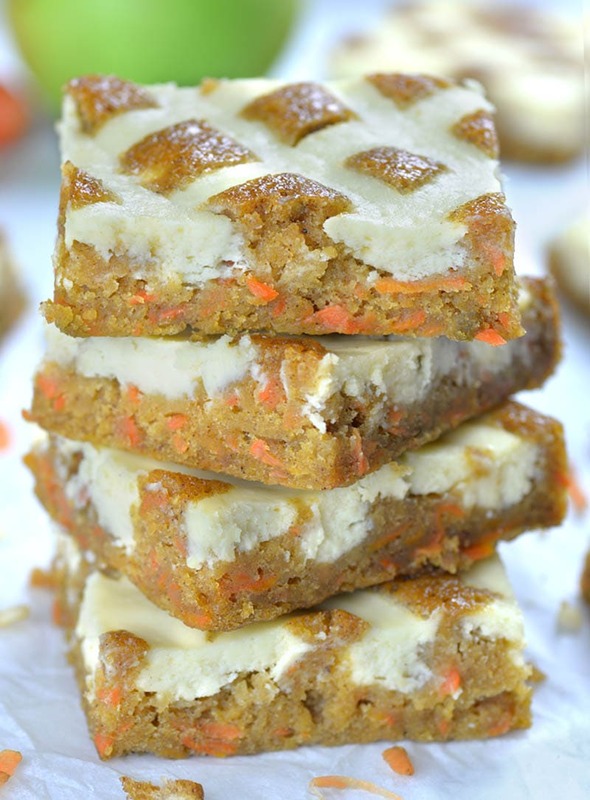 I’m dying to make these Carrot Apple Cheesecake Blondies. No ingrediant meaurments or video nada 🙁 … Can someone help?? Here ya go – hope this helps.